NEW and Improved Paleo Sticky Date Pudding Recipe. 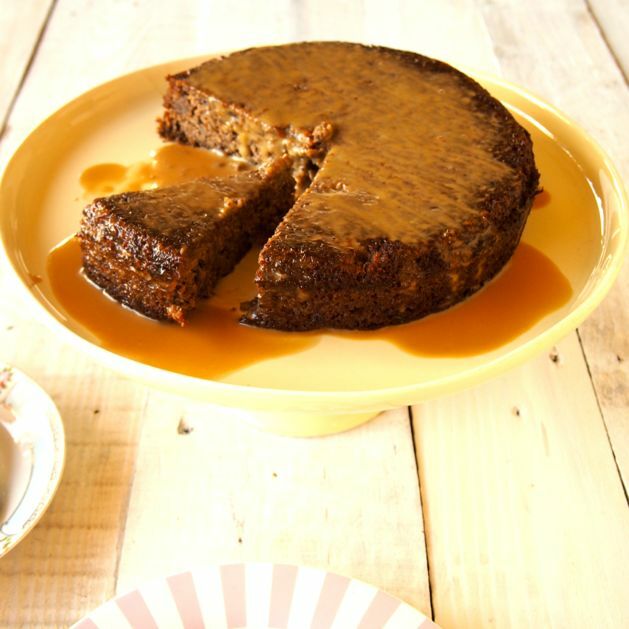 We’ve got our old Paleo Sticky Date Pudding and really it’s all kinds of party in mouth drool worthy delicious action. We know someone loves it because it’s had a stash of views! Woohoo for that! But you see… we know we can do better. And when we say ‘we’ we actually mean Merrymaker Mum (hehe love you Mum!). 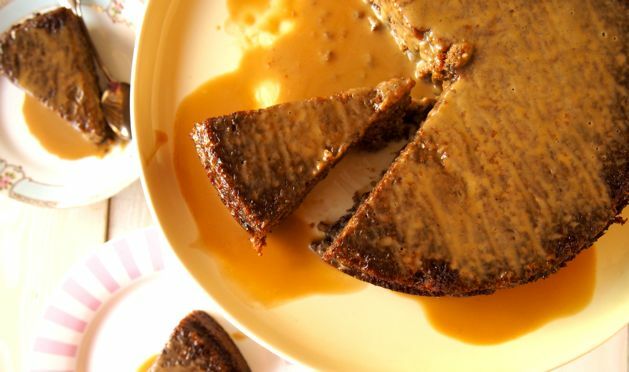 She’s done it again, she’s created epic, healthy, delicious-ness in the form of this beautiful Paleo Sticky Date Pudding! Huge hugs and high fives to you Mum! We wonder if you’ll like it more than her Famous Caramel Date Slice!? Don’t even get us started on that caramel sauce. Words can not describe how good it is. We know you’re going to L-O-V-E it! Although we loved this cake… we had to send it home with Mum and Dad right away. Otherwise we would have eaten the whole darn thing in 2 days. Yep… it’s that good! So please when you make it… ensure to invite friends and family over or freeze some right away! You could even make mini versions… great for portion control and easy to freeze. 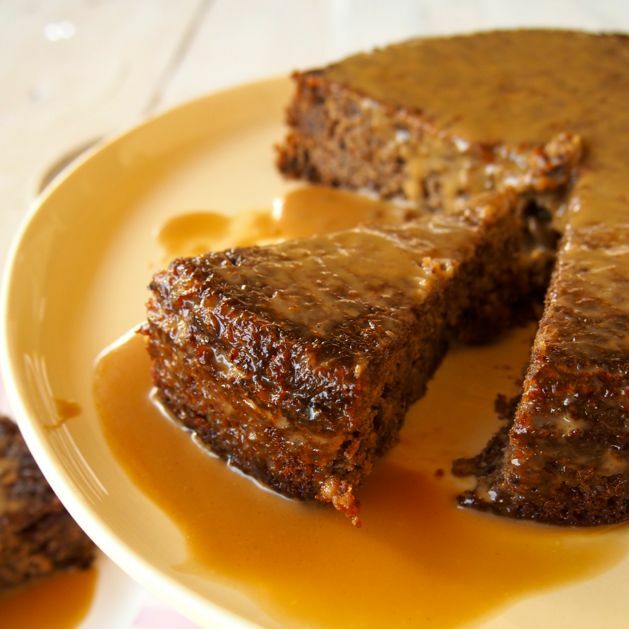 WARNING: this #paleo sticky date pudding will cause you to drool all over the place. Preheat oven to 180°C (350°C) and line a 20 cm cake tin with baking paper. In a bowl place the dates and boiling water. Leave these to soak until the dates become soft. Meanwhile, cream the coconut sugar and butter in a mix master until a paste forms. Add the eggs and vanilla extract, mix until combined. In a separate bowl mix the almond meal, baking powder and date/water mixture together. Add the butter/sugar batter and mix until combined. Transfer the batter in to the prepared cake tin and place in to the oven for 45 minutes until lightly golden. Allow to cool for 10 minutes before turning out on to a wire rack. In a medium heat sauce pan melt the butter and sugar together. Add the coconut cream and vanilla and continue to stir for 5 minutes. Be careful to not let it boil! Stir until nice and smooth. Give it a taste test and let us know what you think! 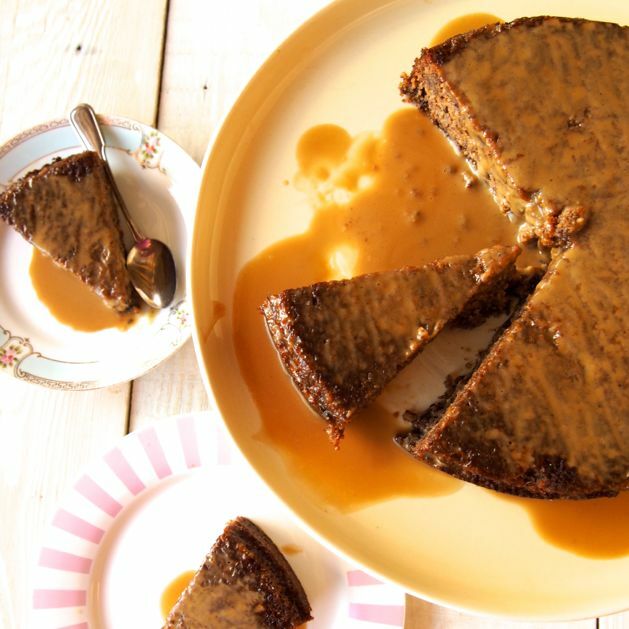 Cut a slice of sticky date and pour the caramel sauce over the top! Make this treat extra epic and serve with coconut ice cream. P.s this is a mega treat, be sure to invite your friends over!